You must make reservations at least 5 minutes in advance of the time at Bobo's. For any reservations of 5 persons or more, please note that there is a 48-hour cancellation window. Complimentary Valet Parking Is Available for our Guests. Bobo's can accommodate 16-20 guests in "The Nook" and 30-33 guests upstairs. 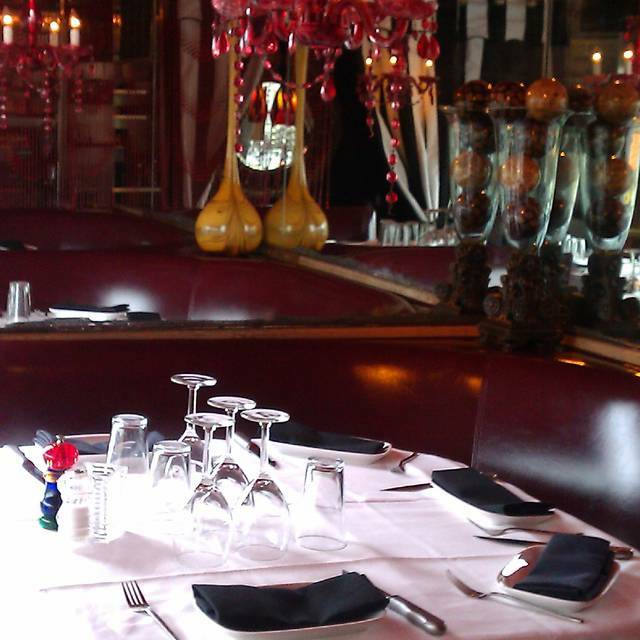 "Circo" can accommodate 22 guests. we only serve crispy boggiatto's farm "iceberg babies"
We were personally greeted at our table and thanked for being there. I thought that was really nice. We had the filet mignon & crab which were cooked perfectly. It was really delicious. First time I ever had to send a steak back at Bobos. It was ice cold halfway through. Med-rare. Eaten here a lot. It is my #2 and #3 on my top 5 steaks list. #1 is a Kobe steak in Japan. Threw the whole dinner off. They took my steak back to the grill. Cooked it some more and brought it back. Made me think of everyone else's steak they had half eaten and re cooked on the same grill. I ate one more bite and could not stomach the rest. Going to be a minute before I can go back. Celebrated my friend's birthday here and had the best of time. Food was exceptional and server was delightful. It's a bit pricey definitely but wortt every penny! Excellent food. Not only the steak and crab but every side dish was out of this world. My wife and I were disappointed. We ordered steaks cooked “medium” and what we got were steaks well done and with no flavor. The sides (creamed spinach and potato) were just okay, nothing extraordinary or special. Waiter did not how to properly open a wine bottle. The service was A1. Everything from the crab cakes to the Bone In Filet was perfection. The mango pana cotta was to die for. Hands down the best place to eat in SF. I don't mind the hefty bill when the food and service is superb. 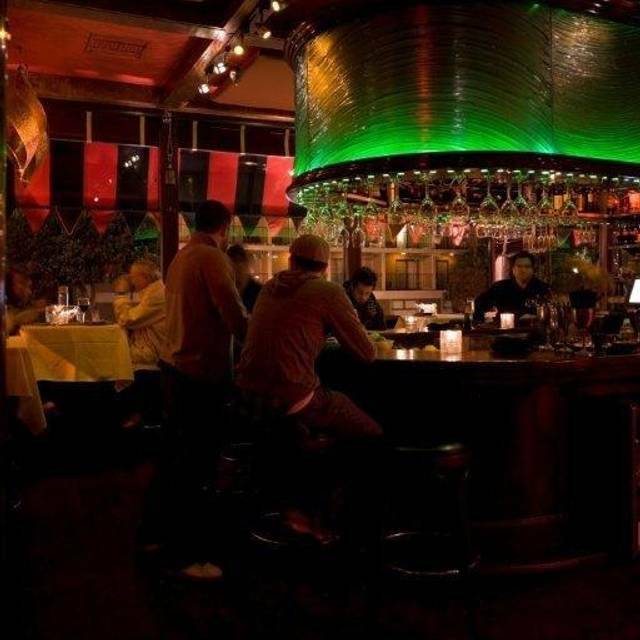 Bobo’s is one of my favorite restaurants in San Francisco. Average food. Service meh at best. Stupid expensive. Valet people working are 5 star. Really nice and very helpful. It was my 2nd visit and it was just as good as I remember it. Last visit was 3-4 years ago with a larger group and service was fantastic. This recent visit was just two of us and the service, the staff friendliness (everyone smiles, so nice! ), the food and the mood were top notch. Steaks were cooked as ordered, wine list was decent and so was the vodka martini to start. 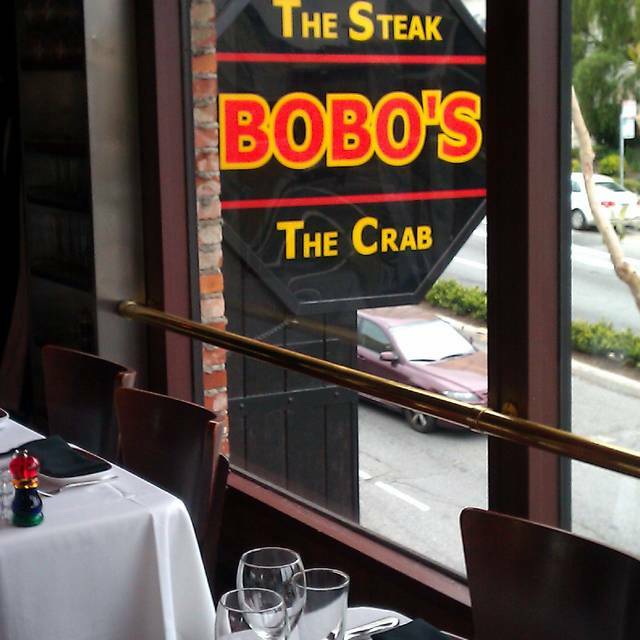 Bobo's is a gem among the many steak houses in SF, and the ambiance is much less stuffy than the main houses on Van Ness and Embarcadero. If you are not used to baked crab instead of steamed stick with the steak. The crab was dry, on our shrimp appetizer shrimp was the right word they were scrawny. Again just get the steak it was superb. I would expect a bit more courtesy from the wait staff from a restaurant at this price point, they seemed put out we were not running up the bill with alcohol. We don’t drink and they were upset to bring us more water. Pretty disappointed overall. When you are spending this kind of money on dinner ($300 for two) my expectations are pretty high and they fell flat. The service was either super slow or quite rushed depending on the moment. Took a long time to get our cocktails then everything showed up at the same time...app, salad, dinner & side. Then, the waiter was no where to be seen for quite awhile. Food was pretty mediocre, not bad by any means but certainly not high caliber. For really good steak/fish...skip this place...there are better (either less expensive or way better service/food). Didn’t have good communication with our waiter. He did not describe the dishes very well, the Crab was over cooked. The Steak was excellent. The wine list had very few medium prices options. Much better options in North Beach. I won’t go back. Brought friends from Vancouver to our favorite steak house. Not the Bobo’s of old. Portions smaller, routine Caesar with thick slices of chewy parmesan cheese, very small Bone in New York. Seemed the sides including the carpaccio had been premade and set aside. Did not tast fresh. Service was there but slow. No passion for the act. I have eaten at Bobo’s over 20 times. Sad to see it fall so far. It was nice to run into our favorite server Teo. Don’t think even he can fix this. Disappointing. The crab is over cooked. I ordered a rare beef, but out out was warm. So disappointed. Arrived early to reservation and they quickly accommodated. We were sat at a cute booth for two but the space was very cramped to accommodate a bottle of wine, entrees, sides, etc. The space is interesting and whimiscal but some of the wall artifacts and chandleries had layers of dust which hung over our seating area & meal. There was a group of 4 men in a nearby booth who were very loud, boisterous and were using the "F-word "very often. This did not create a pleasant environment. Instead we found it rude and disrespectful, especially as we were there to have an intimate dining experience. We ordered the bone in fillet mignon and the whole roasted crab at the suggestion of our waiter Calib. The fillet was ordered as medium rare. When my date cut into her steak it was very cold, sinewy, undercooked and underseasoned, all of which was very disappointing. My date ate around the edges and I felt compelled to ask that it be sent back and cooked further, our waiter apologized and quickly dashed to have it cooked to the proper level.The fillet was returned cooked but it had a different flavor profile as it was now cooked in butter. It was acceptable but for the price and BoBo's claim that the bone-in fillet is their signature dish we were not impressed. 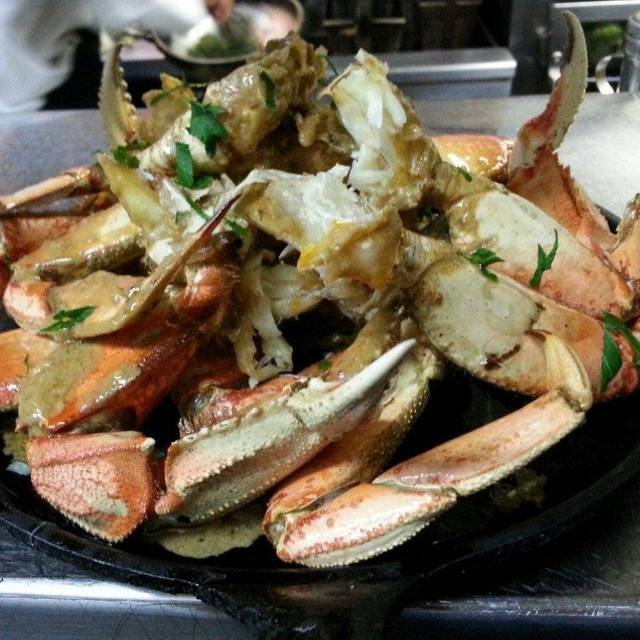 The roasted crab was good but not spectacular as you can find in many restaurants in SF. The waiter knew we were disappointed and brought us the dunce cap cone dessert complementary which was very thoughtful. The wine list was affordable and had a very good selection. 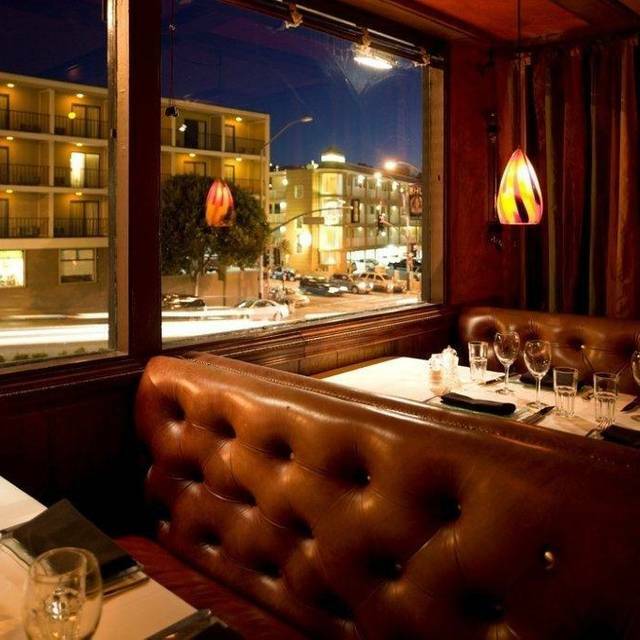 As a local, knowing the plethora of amazing restaurants in the Bay Area I will not be returning and i suggest others to seek a different steakhouse. Wonderful Place, Terrific Food. Highly recommend for good client meal. 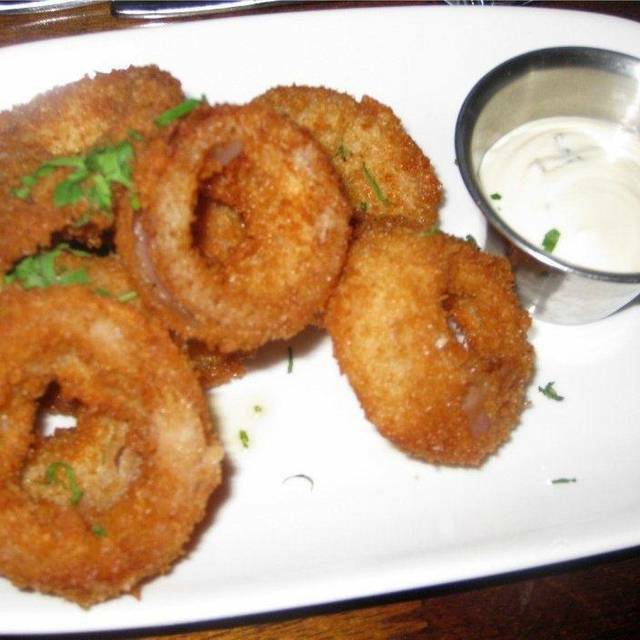 There is no wonder why Bobo's was voted Best Steakhouse in the nation. It certainly blows away the local competition in each and every category. The service was excellent, the cocktails were generous, the food is unsurpassed in quality and presentation and the portions are more than ample. I can't imagine anyone being disappointed in anything having to do with this restaurant. My husband and I took one of our friends for her birthday this past weekend. Our experience was absolutely sensational. While the steak was delicious, I would definitely recommend going with the seafood feast. It was delicious. Food was good, service was poor, our drinks didn't show up until after our appetizers did. Table was horrible, they sat us near the front door and cold wind blew on us for the entire dinner. The mussels and crab tasted very fishy. When I cracked the crab, it was so fragile that it cracked into a million pieces so every bite of crab had shells in it. This place definitely left a bad taste when there. If I would of know that Bobo's does not know how to differentiate what "MEDIUM RARE and RARE" is, personally I would of bought the steak at a market and cooked at home myself. I was perfectly clear to the Server that my partner wanted MEDIUM WELL and I wanted MEDIUM RARE, she ended up getting Medium Rare and my steak was completely Rare. After I mentioned this to the server, he took the steak and brought it back completely burnt. I don't blame him, his service was great. A little rigid but did this job. My question is who is cooking these steaks in the kitchen. Do they need help on how to cook the perfect steak? I am not happy with this place, do not think I will be coming back and definitely not recommend this place to anyone else. The experience is great but I do not want to go to a place that can't even cook a steak properly. Sad! 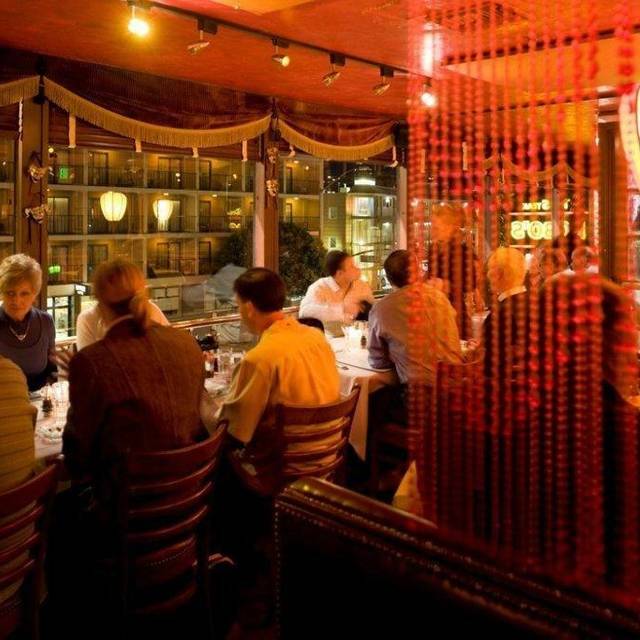 Immerse yourself in a kooky environment of Venetian bohemianism and enjoy a delicious meal. Quite enjoyable and memorable. We were very excited to try the highly recommended Bobos, but unfortunately our experience was subpar. We ordered filet and half crab, the filet tasted of seafood and the crab was extremely dry and fishy. They plated the crab and filet together, so the filet was sitting in a bed of crab juice. Our waiter provided excellent service, but we would not go back because the food was not good and the price does not justify the risk of receiving the same experience next time. 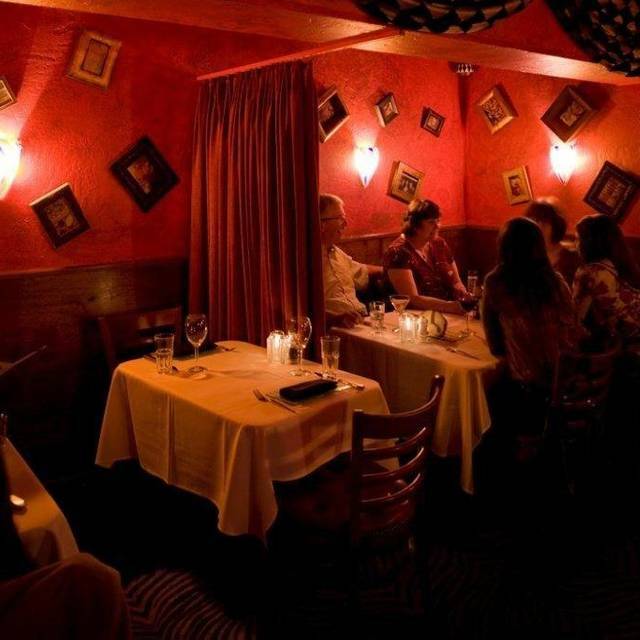 Excellent food and service, ambiance and decor are also amazing. Definitely not cheap expect to spend about $60(on the low side) to $100 per person with an appatizer, entree and sides/drinks. Bobo’s didn’t meet the expectations. First of all, the service wasn’t great, it wasn’t necessary bad but for a upscale dining one can expect their water to be refilled without a reminder, a wine chiller with an order of white wine and plates/silver to be cleaned between services. No of that happened last night. Secondly, food was awful. Whole crab we ordered was overcooked and way too salty. Crab cakes were dry and small. Steaks came undercooked inside (rare instead of medium rare) and almost burnt on outside, clearly their grill is too hot. For the price tag, you can go to any other steakhouse in the area and get better service. 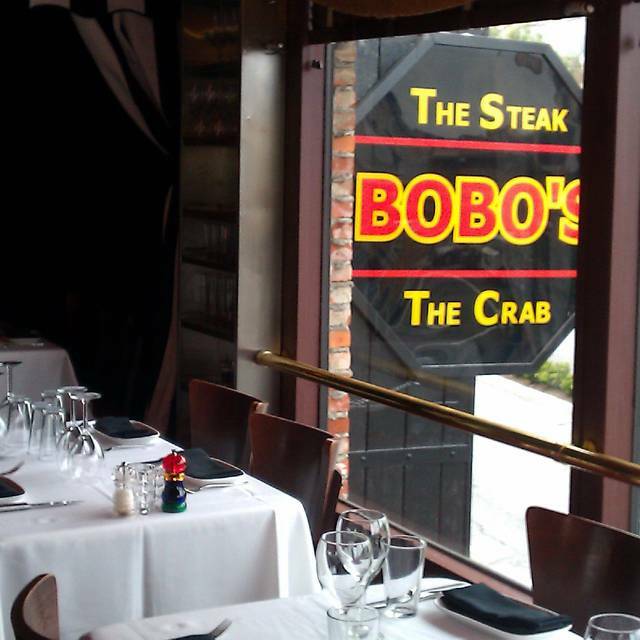 We went to BoBos for Valentines Day and had a great experience. The food was awesome and our waiter provided us with ezcellent, attentive service. Daughter’s 21st. Hostess was wonderful and Joel was excellent.